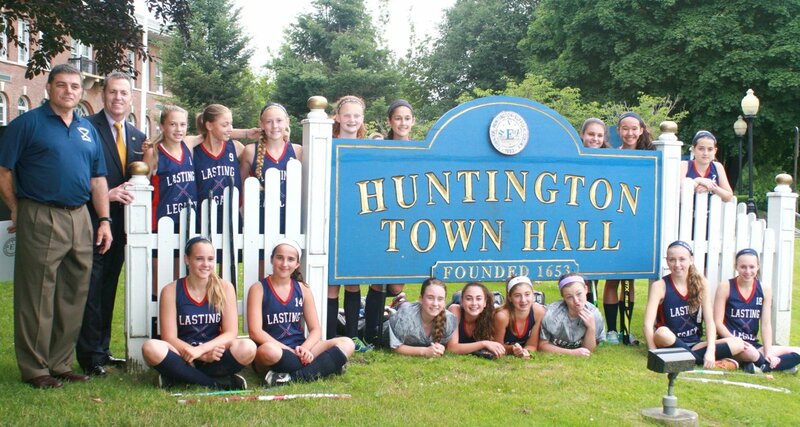 I recently recognized the Lasting Legacy Field Hockey Team on the front lawn at Huntington Town Hall, as the team advances to the National Club Championship scheduled for July 9th to July 11th at the US Olympic Training Center in Pennsylvania. The 2015 Lasting Legacy Field Hockey Club is comprised of players who resident within the Township of Huntington. The team is led by Head Coach Ali Murdoch, who is assisted by Lasting Legacy's Director, John Deliso, under their guidance the girls were able to score 24 goals and allowed just one during their regular season. In addition to the team’s remarkable accomplishments, four of its players have also been individually selected to compete at the National Futures Championship which is designed to identify potential future U.S. Olympians.